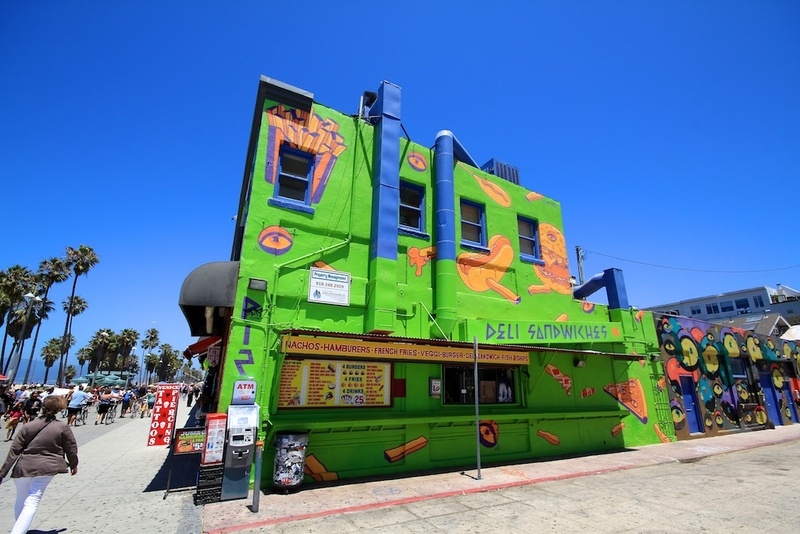 No matter how many times you go to Venice Beach you literally never see the same thing twice. Here are some of my favorites parts of the area. 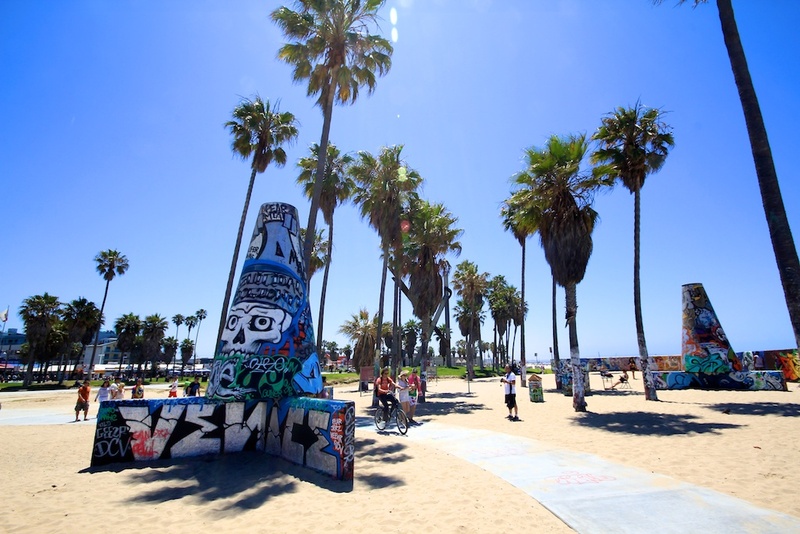 Parking is actually pretty plentiful around the Venice Beach area, but you will have to pay for it. I would recommend heading down near the skatepark as the street parking is $1 an hour if you are able to get it. If not you can often park in one of the lots for $10 – $15 all day. 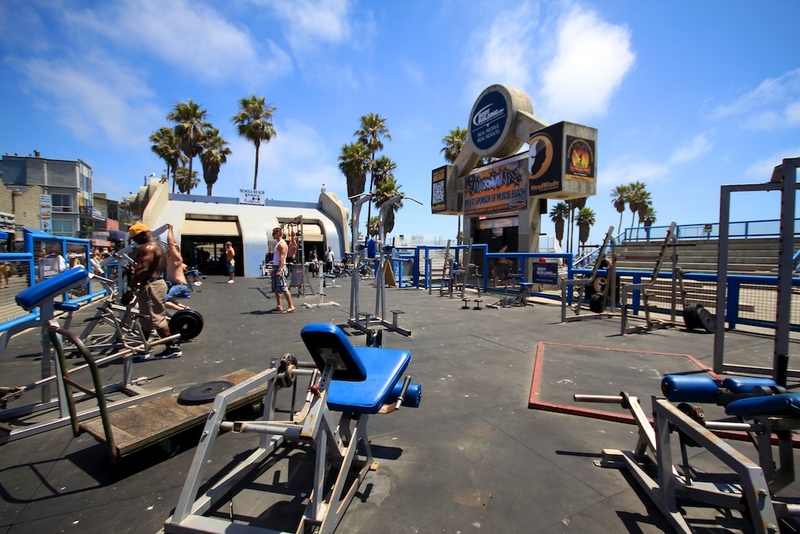 While not as exciting as you would think it is, Muscle Beach still has an interesting vibe. The area is smaller than any gym you have been too and only has a few different types of weight benches, all that look like they need to be updated. You will still see some of the buffest people you have ever seen working out or putting on a show for the onlookers. 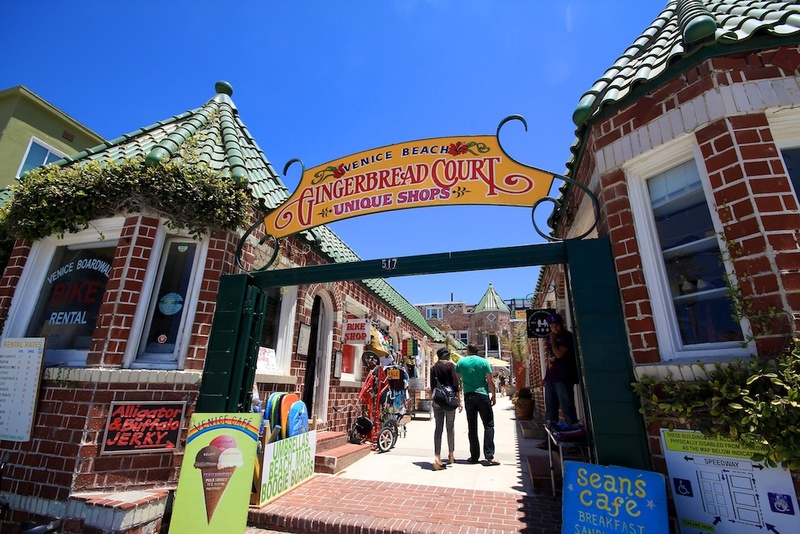 It is a fun stop on the boardwalk. 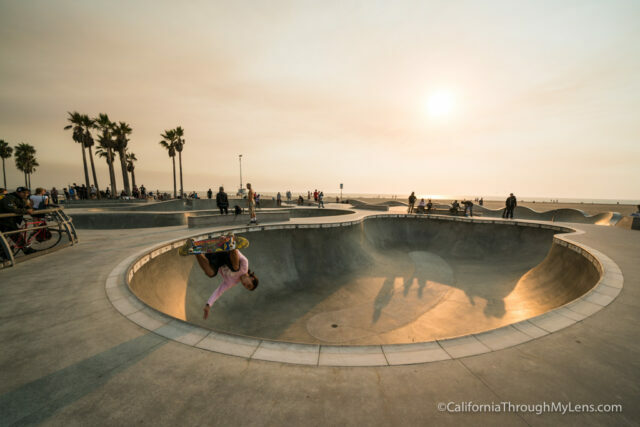 A self-explanatory entry into the Venice Beach scene, the skatepark often draws some of the areas best to showcase their talents in front of the onlookers. 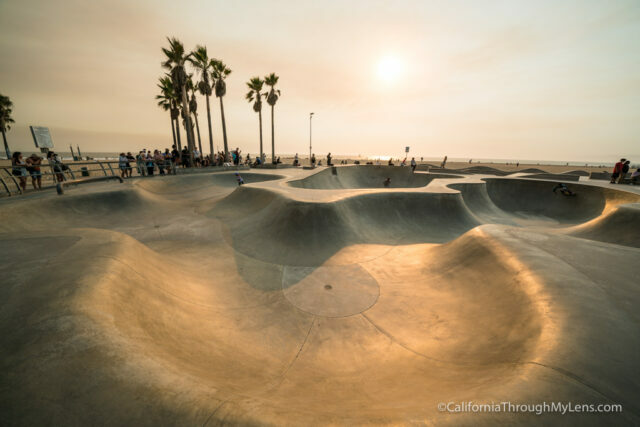 This area is so popular that it even became a level in an early Tony Hawk Pro Skater game. I love just sitting here and watching for 30 minutes. You often see some great tricks from some really talented skaters. In the central area where the skate park is there are a couple of famous art pieces. First, there are the pillars. While I hate graffiti in all of the natural areas I go, it is pretty cool in on these pillars. It is a unique place to take pictures and provides a great contrast to the sandy beach. 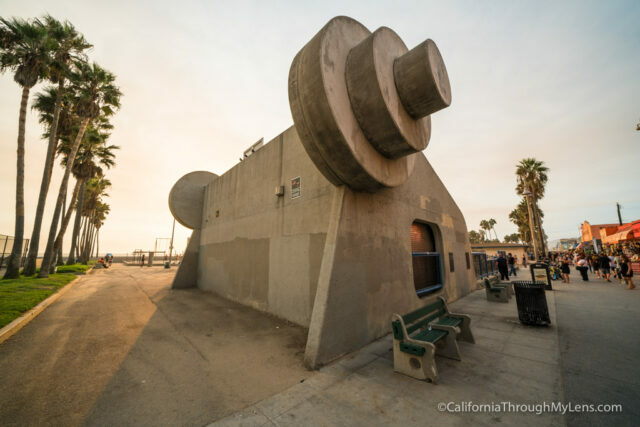 There is also a more massive structure right in the center of Venice Beach that has got to be like 100 feet tall is also fun to photograph. It is like the unofficial logo of the beach. 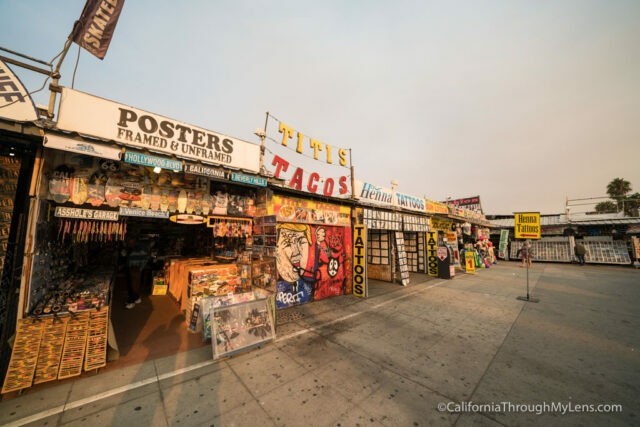 Walking the Venice boardwalk is almost like walking a swap meet. 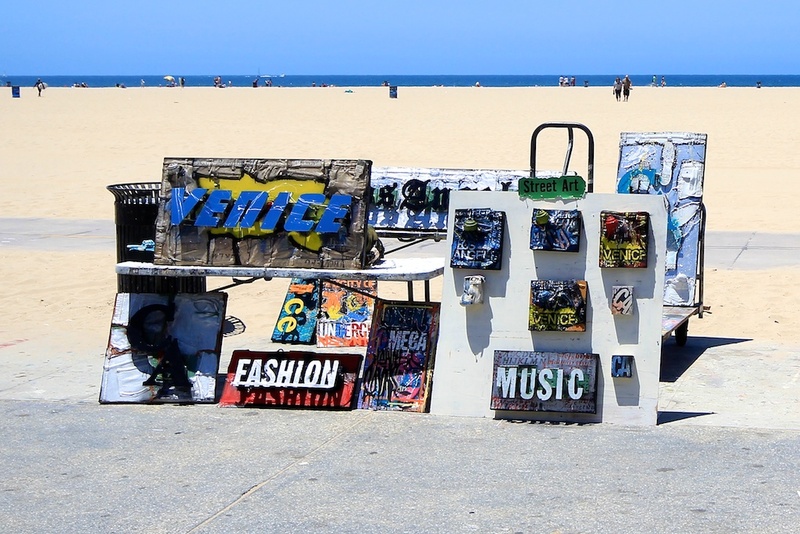 The shops sell all sorts of exciting trinkets as well as the typical tourist products that have Venice Beach plastered on them. They also have staples of a swap meet like different sunglass vendors (usually 2 for 10 dollars or such) and other disposable products. There are some big shops as well from American Apparel and some other famous retailers along the walk. 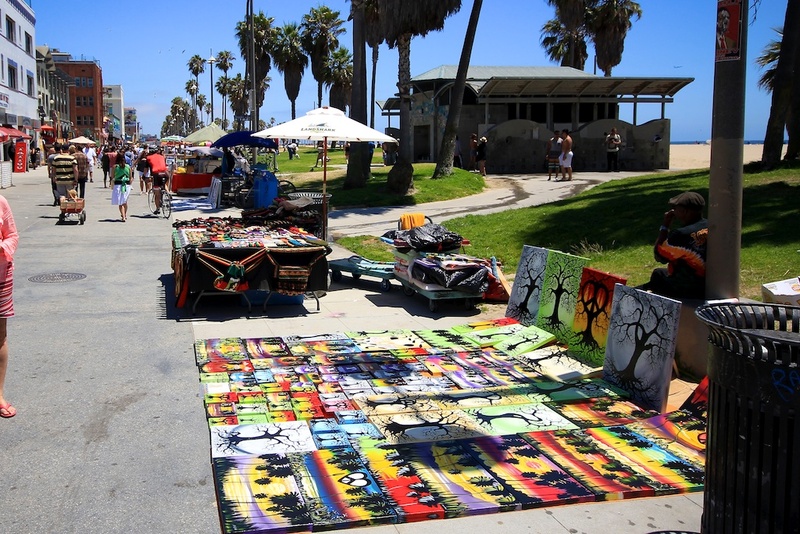 As I mentioned in the first paragraph, the other side of the boardwalk has a wide variety of artists and vendors all looking to sell their unique pieces of art. 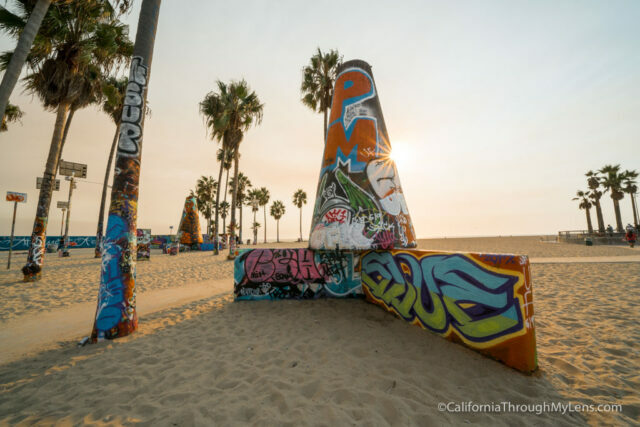 There is something for everyone here, with pieces ranging from watercolors to graffiti art. It is fun just to walk along and take it all in; the prices vary wildly based on the quality. You can really see anything along this boardwalk. I saw guys making sand castles for tips, doing mime acts, posing with marijuana flags, offering to arm wrestle you and just playing a musical instrument for tips. It is a unique experience. 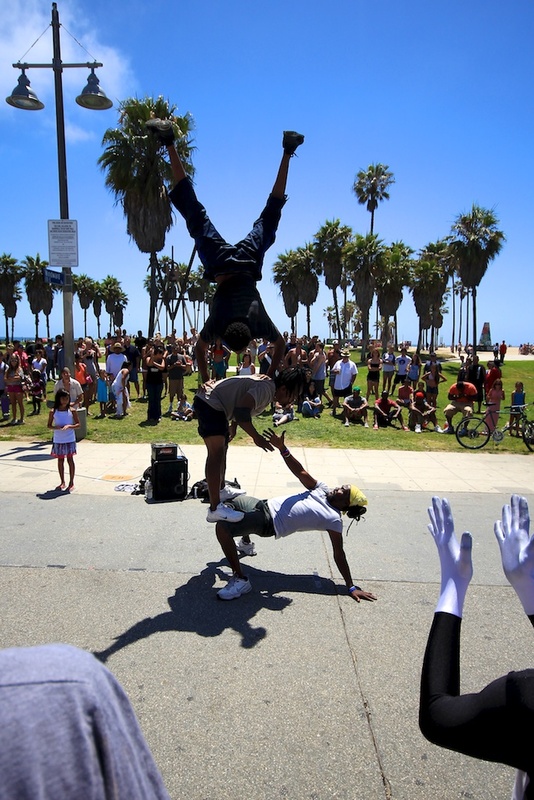 There are usually a few street performers along the boardwalk that are showcasing their crazy gymnastic and dancing talents, especially during the weekends when they can draw a bigger crowd. 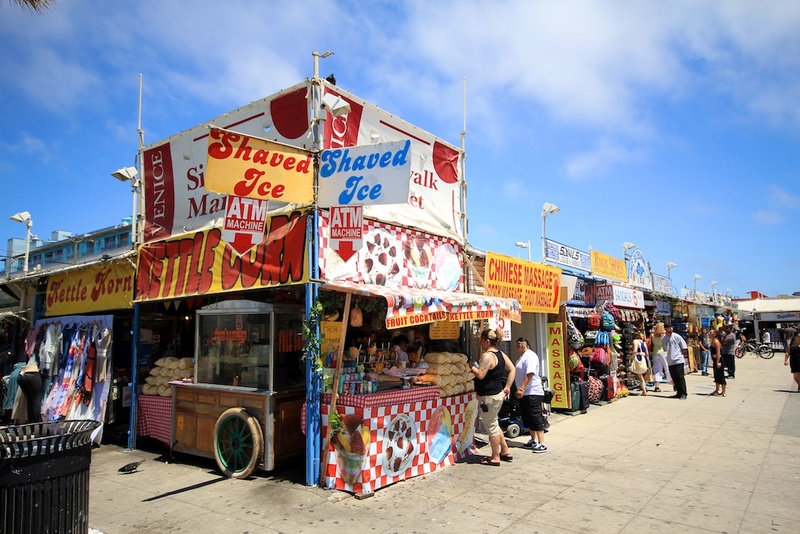 Along the boardwalk, there is almost every type of fair food your heart can desire. There are all of the traditional staples like funnel cakes and hot dogs, with some street vendors selling food and even a full sit down brewery. Whatever you like you should be able to find it on the boardwalk. 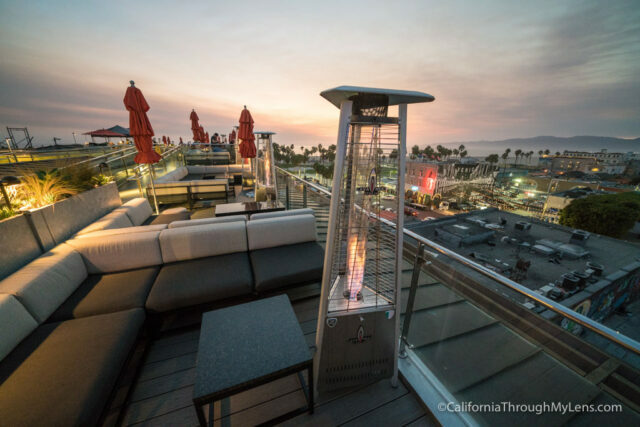 Another popular adventure in the Venice Beach area is to head up to one of the rooftop bars and get a drink to watch the sunset with. High Rooftop Lounge is my favorite as it is centrally located and has great views of the surrounding area. 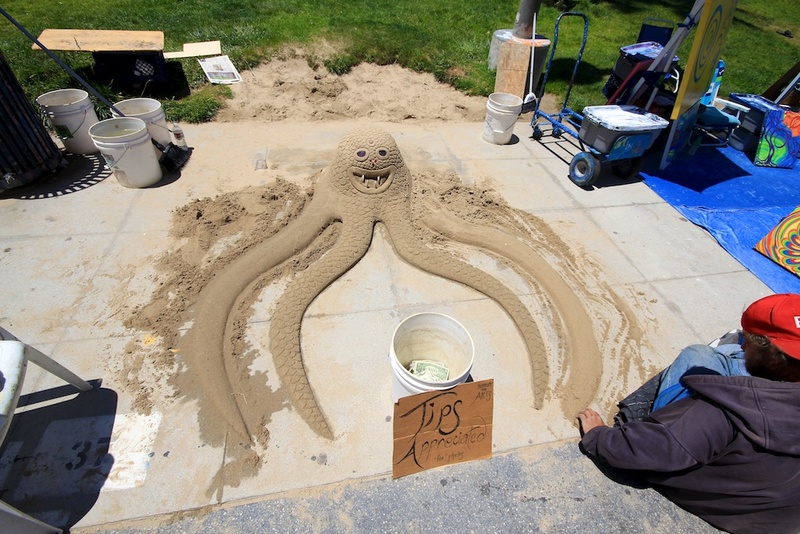 Not to be outdone by the weirdness and the art, there is also a great beach to relax at. 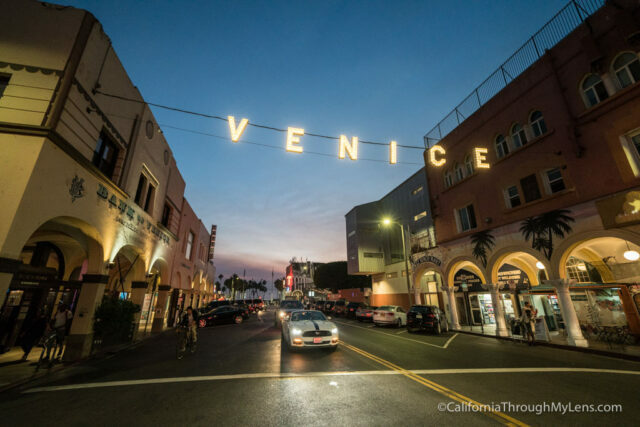 You can even walk down the beach and enter into the Venice Canals area that I wrote about here and which I highly recommend. 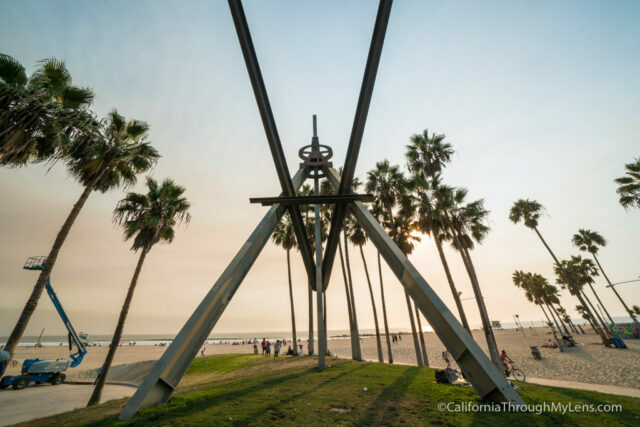 If you haven’t been and you live in California, you need to experience it at least once. I guarantee its unlike any beach you have been to before. Who knows, you might even like it enough to go back like me. 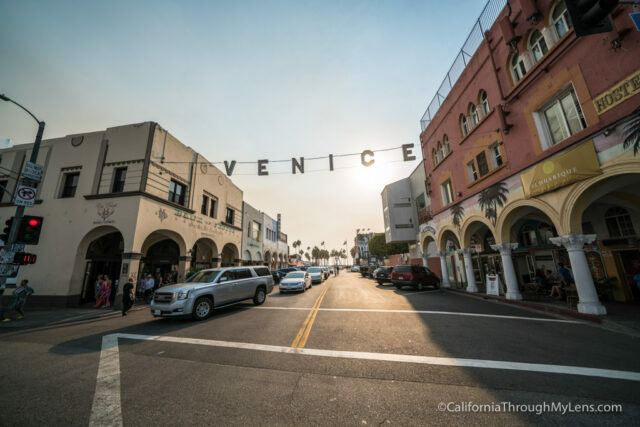 Make sure to let me know what your favorite spot in Venice is below.